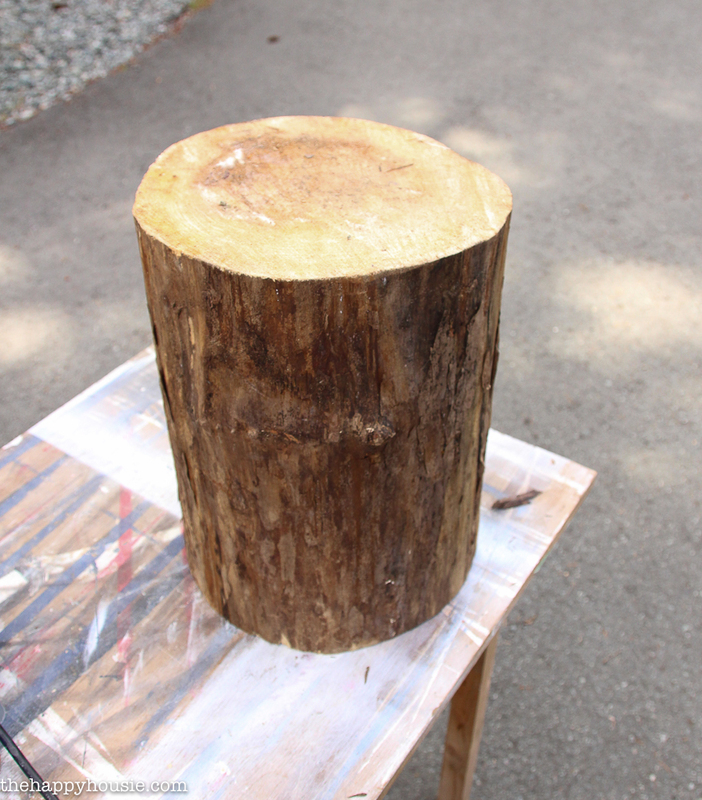 DIY Outdoor Rolling Stump Side Table - The Co. I am so exciting that I finally tackled this project. It’s been on my mental “to do” list for a few years now. And I have to credit a friend of mine for finally getting the ball rolling. She messaged me the other day that she had some nice stumps I might like – and sent me a picture of hers all sanded and smooth. I knew it would be the perfect little side table on our deck this year… we are switching a few things around and it works really well with a new addition that I plan to share with you soon! And add a little rustic chic feel to your deck or patio this summer. I toyed around with how I wanted to finish this guy off. I knew I wanted to stain it and give it a protective coat of outdoor varathane. But I thought I might want to paint it? Maybe a “dipped” looking finish on the bottom? In the end, life won out and I didn’t have time to tackle anything extravagant. I figure I can always add some paint down the road, but once it’s painted it’s hard to go back. This is an excerpt from the article DIY Outdoor Rolling Stump Side Table which originally appeared on http://thehappyhousie.com/.